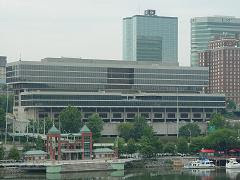 Knoxville can look forward to further development and ongoing projects in the new year. Three specific projects are set to hit major milestones in 2017. The Cumberland Avenue reconstruction process, which began in April 2015, is scheduled to be complete sometime in late 2017. The city is investing $17 million in the project, which intends to fix long-term chronic problems in the area. Construction on the north side of Cumberland Avenue is already complete. Further progress is expected on the south side in the next year. Another project, the South Waterfront, will see more than 1,300 people begin to move in during the 2017 year. 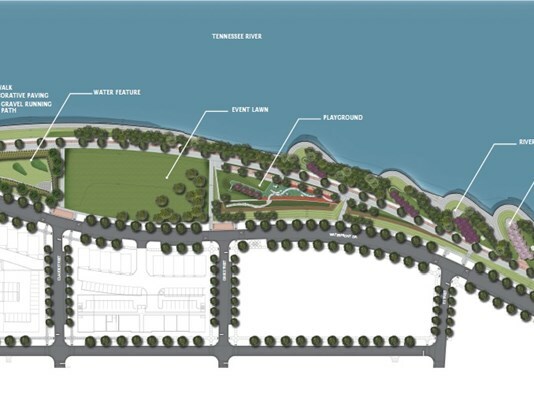 In 2016 the city opened Suttree Landing Park and Waterfront Drive on the waterfront. That project cost $6.6 million. It's one of several going in between the Henley and Gay Street Bridges, which include apartments and a public riverwalk. Next spring, work will begin on Knoxville's Magnolia Avenue streetscapes project. The city will invest about $8 million to add streetscape amenities to several blocks of Magnolia Avenue between Jessamine Street and North Bertrand Street. Those amenities include a gateway art piece, medians and bus pull offs. Other projects seeing development in 2017 include the Pryor Brown Garage, Marble Alley Lofts, Regas Square, the State Supreme Court building, the Farragut Hotel and the Tombras Group building. As 2016 comes to a close, 10News is taking a look back at the political scene. 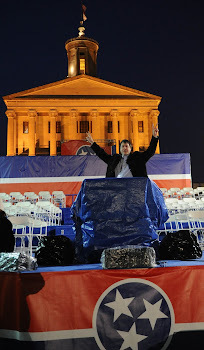 It was definitely a year to remember, with historic elections, campaigns, and new leadership for our country. The race for the White House started in 2015 with a large field of candidates vying for the Republican and Democratic nominations for president. The huge crowd gathering at Donald Trump's Knoxville campaign stop in November 2015 was a sign of things to come in the following year. Donald Trump ultimately won the electoral votes in Tennessee and across the country, allowing him to claim victory against Democrat Hillary Clinton for the presidency. Clinton won the popular vote by more than 2.5 million votes. 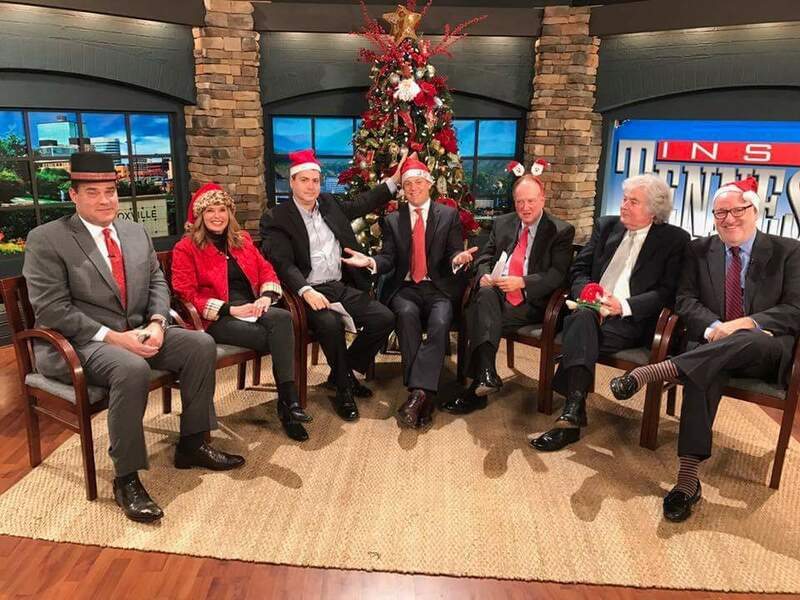 2016 marked a year of controversy and close campaigns for several state representatives from East Tennessee. 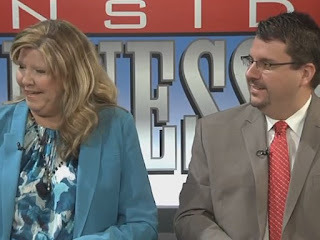 A heated argument that turned physical played out on News Talk 98.7 last summer between incumbent Republican state Rep. Martin Daniel of District 18 and primary opponent Steven Hall, both of Knoxville. "Steve Hall stood up. Martin Daniel shoved him," host Hallerin Hilton Hill declared during the live broadcast. The incident led to an assault charge for Daniel, who ended up winning the August primary as well as the general election in November. Daniel still faces prosecution for the assault charge, and he has a March court date in Knox County. 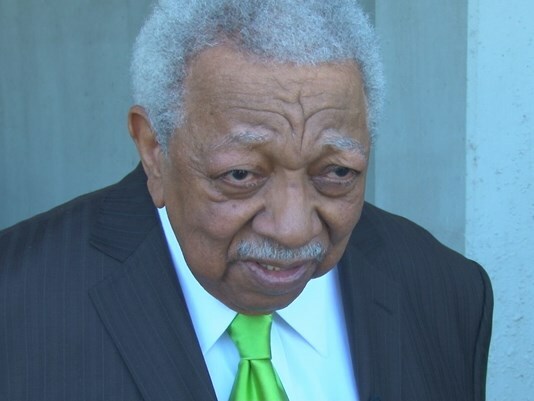 Longtime state Rep. Joe Armstrong, a Knoxville Democrat from the 15th District, was convicted in federal court of filing a false tax return in connection with an alleged fraud conspiracy involving tax stamps for cigarettes. Soon after his conviction, he filed his retirement from the Legislature, and Knox County Democrats voted Rick Staples in November as his replacement. Staples said: "We really need economic growth in the 15th District, and it's important to move forward with that right now." The race for state House District 13 heated up between two-time opponents Gloria Johnson and Eddie Smith. 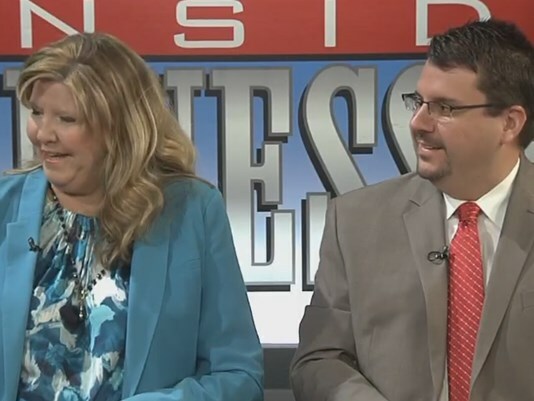 The last time Republican Eddie Smith and Democrat Gloria Johnson faced off for a Knoxville state House seat, the decision came down to fewer than 200 votes. The election in November was even closer: 154 votes. Smith declared victory on election night, and Johnson later conceded after provisional ballots were counted. Several new faces joined local politics on the Knox County Commission in 2016, and as the search for a Knox County Schools superintendent continues, the makeup of the Knox County Board of Education saw major changes, shifting the balance of power more toward members with direct experience as educators. 2016 held some major stories in education, from an upset in the statewide standardized test, to a change in leadership for Knox County Schools. They year began with a surprise announcement: that Knox County Schools superintendent Jim McIntyre would be stepping down. "I would love to continue to do the job that I love doing," McIntyre said at a media conference. "However, the current political environment has become increasingly dysfunctional, at times overtly antagonistic and seemingly untenable." The search immediately began for his interim replacement, and the Board of Education tapped Buzz Thomas, president of the non-profit Great Schools Partnership. 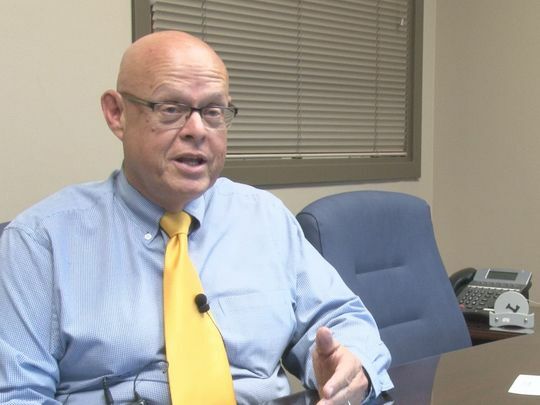 "They want to create the best school system in the South," Thomas said of board member, in an interview with WBIR 10News. He took over in June, and board members are in the process of finding a permanent superintendent. School board elections in September brought three new faces to the table, leading to a shift toward a more public approach to input on teacher evaluations and student testing, plus the creation of a Teacher Advisory Committee. 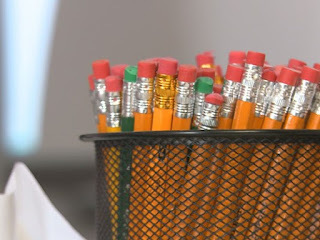 In February, the state's much-hailed online standardized testing platform failed, and the backup pencil-and-paper form the of test wasn't delivered in time. "Ultimately, you have to make a call about whether this is going to be a good experience for students or not," state education commissioner Candice McQueen told a reporter at the time. "Everybody's making the joke about, 'Tennessee Ready's not ready,'" concerned Knox County parent Leslie Kurtz said, in reaction. In April, Tennessee canceled its contract with the testing company Measurement, Inc. and began an emergency search process for a new company. It named Minnesota-based Questar Assessment to take over the state's TNReady test for the current school year. "Questar's been around for about 40 years, and we literally have hundreds of successful assessments under our belt," Questar VP of State Solutions Marty Mineck told 10News. Throughout the year, Knox County district leaders have been fostering conversations about cultural competency and racial disparities in both discipline and academic outcomes - and how to make improvements. As awareness of bullying, hazing and cyber-bullying continues to grow, many East Tennessee schools are working to combat that. Roane County Schools has programs in the majority of its buildings, to teach kids about kindness and the harmful impact of bullying. Throughout 2016, we saw the hearts and love of teachers, students, parents and administrators shine through, from the Beaumont Magnet Academy community pulling together to win a $100,000 grant for a new arts-inspired playground, to a Blount County schoolteacher who fostered and then adopted three former students. All around, those involved in education in East Tennessee showed the Volunteer spirit in the classroom and community - and ready to be carried into 2017. Knox County Mayor Tim Burchett is organizing one last cash mob Thursday afternoon, this time to show appreciation to Alvin Frye, a longtime local business owner in Fountain City. Frye served during World War II and the Korean War and has owned the Fountain City Exxon station at the intersection of Broadway and Essary Road for more than 25 years, and for nearly 60 years owned stations at various Fountain City locations. Frye’s filling station will close on Dec. 31. The cash mob will run from 3 p.m. to 7 p.m. Thursday and is open to the public. Burchett is encouraging the community to stop by the Fountain City Exxon station, 5306 Broadway, to fill up on gas and to say 'thank you' to Frye and his employees for their years of service to the community. Members of the public can sign an oversized thank you card for Frye. Frye is currently battling health issues and the Fountain City Lions Club is accepting contributions to the “Alvin Frye Fund” to help the family with cover expenses for his treatment and care. Contributions can be sent in the form of a check made payable to the Fountain City Lions Club, P.O. Box 5276, Knoxville, TN 37928. Please note the “Alvin Frye Fund” in the memo line of the check. The President on Thursday declared a major disaster exists in the State of Tennessee and ordered Federal aid to supplement state and local recovery efforts in the area affected by wildfires during the period of November 28 to December 9, 2016. 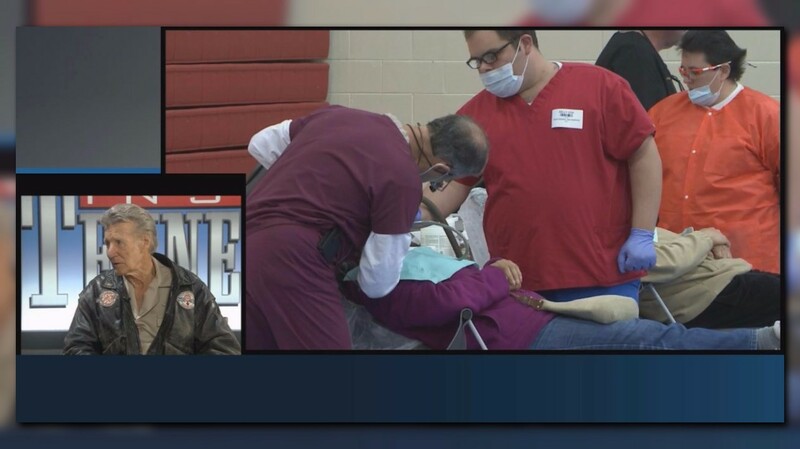 The President's action makes federal funding available to affected individuals in Sevier County. 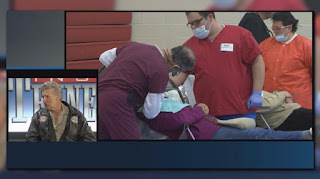 Federal funding also is available to state and eligible local governments and certain private nonprofit organizations on a cost-sharing basis for emergency work in Sevier County. FEMA said that damage surveys are continuing, and more counties and additional forms of assistance may be designated after the assessments are fully completed. Knox County Mayor Tim Burchett is organizing one last cash mob, this time to show appreciation to Alvin Frye, a longtime local business owner in Fountain City. Frye’s filling station will permanently close on Dec. 31. On Dec. 22, from 3 p.m. to 7 p.m., Burchett invites members of the community to stop by the Fountain City Exxon station, 5306 Broadway, to fill up on gas and to say thank you to Frye and his employees for their years of service to the community. Members of the public can sign an oversized thank you card for Frye. Frye is currently battling health issues and the Fountain City Lions Club is accepting contributions to the “Alvin Frye Fund” to help the family with cover expenses for his treatment and care. Contributions can be sent in the form of a check made payable to the Fountain City Lions Club, P.O. Box 5276, Knoxville, TN 37928. Please note the “Alvin Frye Fund” in the memo line of the check. 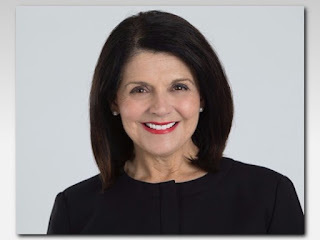 The UT Board of Regents will vote Thursday on whether to approve interim University of Cincinnati President Beverly Davenport as the University of Tennessee's next chancellor in charge of the Knoxville campus. If approved, she would be the first woman to head the Knoxville campus, and would likely start March 1. UT President Joe DiPietro announced Davenport's selection in November. Davenport stands to make $585,000 along with a housing reimbursement and expense account, according to an offer letter dated Sunday. At Cincinnati she makes more than $600,000. 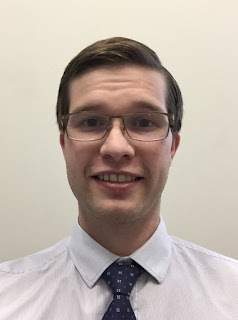 Davenport would replace Jimmy Cheek, who will serve until his replacement takes over and then play a role in higher Educational Leadership and Policy Studies in the university’s College of Education Health and Human Sciences. Cheek, who announced in June that he was stepping down, earns $447,500 annually. He's been chancellor since 2009. State and local leaders say a Knox County safety center for the mentally ill will be up and running in 2017. Just who pays for it remains to be seen, but officials are expecting the state to kick in a major chunk of change. 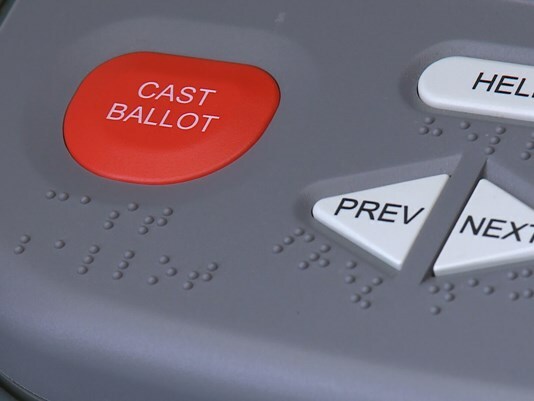 Tennessee lawmakers told WBIR 10News this week that they are counting on Gov. Bill Haslam to include money in his upcoming budget for the much-discussed facility but – if not – then officials will introduce new legislation to add the funds. Knox County Mayor Tim Burchett agreed. “We’re going to do it with or without the state,” he said. 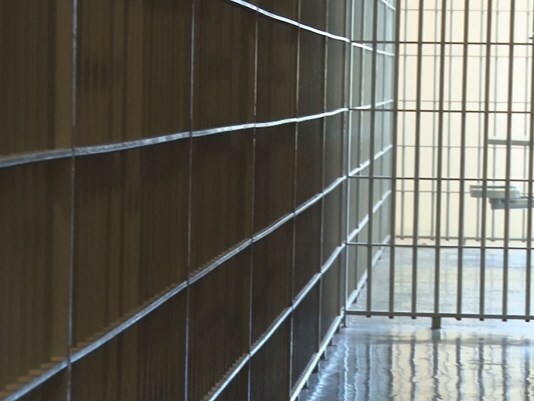 For years, local leaders have talked about building what they’ve recently dubbed a “behavioral health urgent care center” to help the mentally ill and alleviate jail overcrowding. The county has set aside $1.2 million and the city has chipped in $200,000. The state thus far has declined to provide funding, although officials earlier this year privately said they expect the Haslam administration to acquiesce and set aside some money in the coming year. 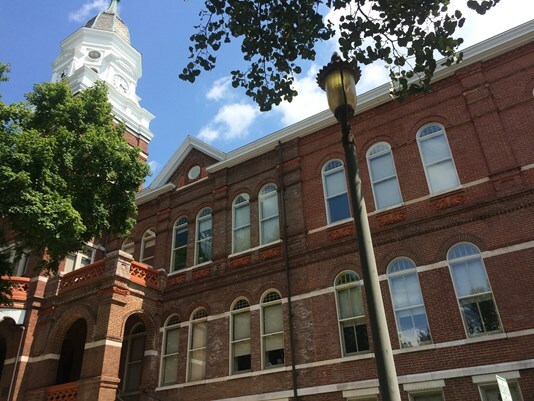 On Friday, state Rep. Smith told WBIR 10News that the local Legislative delegation has submitted a $4.5 million request to the Governor’s Office to include in the state’s proposed budget, which will be released in early February. County and state officials want to set up a 3-year pilot program that they estimate will cost $1.5 million a year to operate. If the governor declines to include the money, Smith said lawmakers have other options. Smith said the state currently has a $977 million surplus in non-recurring monies and an $856 million surplus in recurring funds. He said the governor plans to include “a lot” of the non-recurring money in the upcoming budget. Earlier this year, the county sought bids from local agencies to develop and manage the proposed safety center. Only Helen Ross McNabb – one of the few mental health and substance abuse treatment operations in the region – submitted a proposal. The county was looking for an organization with at least 10 years’ experience in community mental health, according to the county’s initial bidding documents that detailed the request. 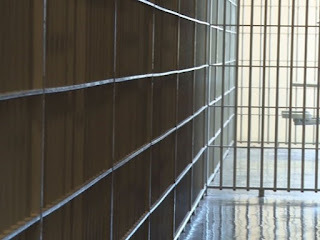 The organization also must be able to provide a building big enough to accommodate a 72-hour jail diversion program and a 72-hour crisis stabilization until. The county figures that the operation will initially have eight to 10 beds, but will eventually divert “upward of 4,000” patients yearly. Knoxville will no longer accept glass in its glass in its curbside single-stream recycling program beginning Jan. 1. Instead, residents are encouraged to bring glass to any of the City’s five drop-off recycling centers. The city is gathering input from residents about ways to improve the operation of the drop-off centers – including the possibility of adding new locations to make it easier for residents to recycle glass. To take part in a survey, please click on this link: https://www.surveymonkey.com/r/BFXV2Q2. 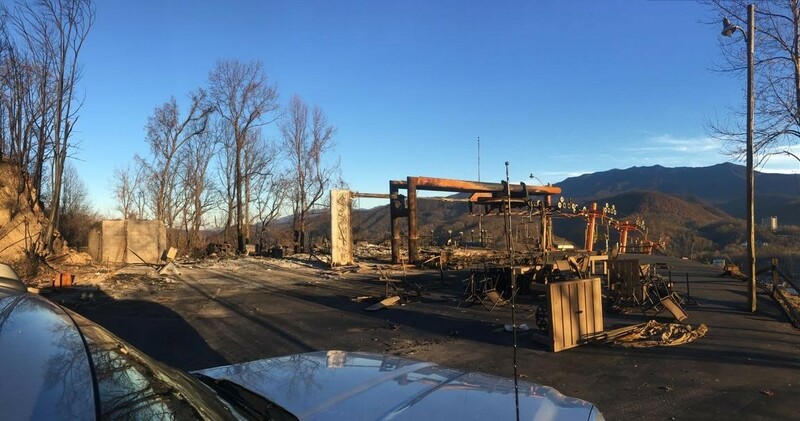 Many communities rushed help in all forms – firefighters, search-and-rescue teams, food, supplies, prayers and charitable donations – to Sevier County communities devastated by the Nov. 28 wildfires. Knoxville families, schools, churches and businesses contributed generously. The City of Knoxville, alongside many other cities and agencies, lent its firefighting and emergency management expertise and equipment. The Knoxville Fire Department dispatched more than 100 firefighters throughout the week as part of the State Mutual Aid System to battle the wildfires and help with the search for missing persons. 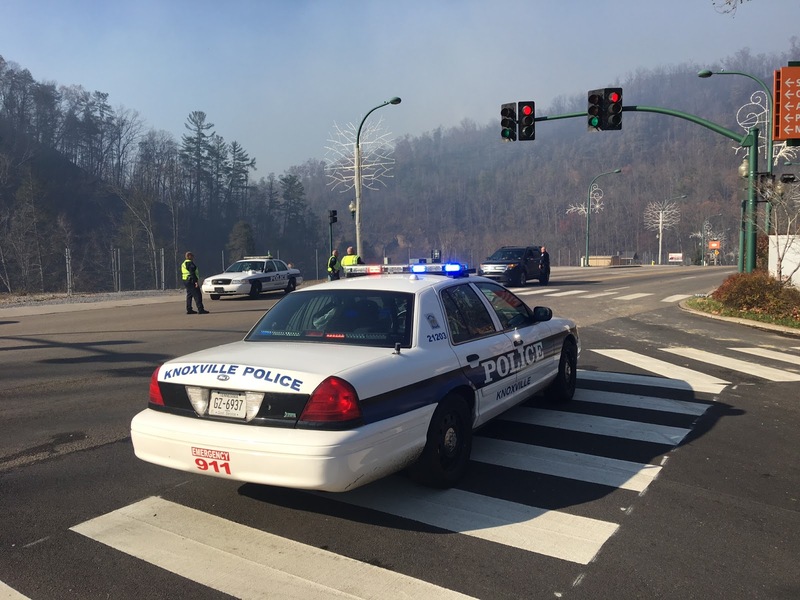 The first Knoxville firefighters arrived within hours of the fires reaching Gatlinburg structures. KFD also sent six pieces of firefighting apparatus – engines, tankers, a ladder truck and a 4-wheel-drive smaller truck specially designed to battle brushfires in hard-to-reach areas, along with 11 support vehicles. KFD’s chaplain also was in Gatlinburg last week, helping to comfort displaced families as well as the First Responders. In total, KFD committed more than 1,400 hours to battling the Sevier County fires and assisting families. The Knoxville Police Department also sent help. Starting at 7 a.m. Tuesday, Nov. 29, KPD began rotating shifts of 12 to 15 officers, who initially assisted Sevier County law enforcement with emergency street closures. By the end of last week, KPD chaplains were supporting families and First Responders. KPD’s Search and Rescue Team was deployed, and KPD investigators were working with federal task forces. All told, 200 KPD employees were on the scene in Sevier County last week, contributing more than 1,700 employee hours. “The fires were a disaster and a tragedy, but the response to them really shows the deep sense of community we have here in East Tennessee – the Volunteer Spirit at its best,” the Mayor said. There are plenty of ways that Knoxville residents can help Sevier families get back on their feet. Want to contribute or find out the best ways to help the fire victims? Call 2-1-1. 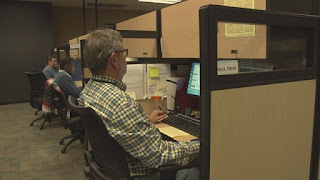 The 2-1-1 phone line is run by the City’s 311 Call Center under contract to the United Way, and staffers answering the line can help connect people in need with resources - or provide information on ways that donors can contribute to relief efforts. Also, the Sevier County Economic Development Council, in conjunction with Gatlinburg and Pigeon Forge, has created a new website to coordinate all of the relief and resources. Visit www.mountaintough.org. Federal lawmakers last year approved the Every Student Succeeds Act (ESSA), a K-12 education law that replaces No Child Left Behind. It goes into full effect during the 2017-2018 school year. The Tennessee Department of Education has been working on outlining its transition to this new law and will soon release a draft plan for public comment. Tennessee Education Commissioner Candice McQueen will be in Knoxville next week for a town hall meeting to provide updates on the ESSA state plan, as well as to get your feedback. The meeting will be held at 5:30 p.m. on Tuesday, Dec. 6 at West High School, 3300 Sutherland Ave. If you cannot attend, the department will have an online feedback form that will mirror the questions asked at the meeting. It will be available on the department’s ESSA website: tn.gov/education/essa. The National Park Service announced that the Townsend, Tenn., entrance to Cades Cove in the Great Smoky Mountains National Park has re-opened for visitors Thursday. Both the Cades Cove and Oconoluftee Visitor Centers in North Carolina have re-opened. 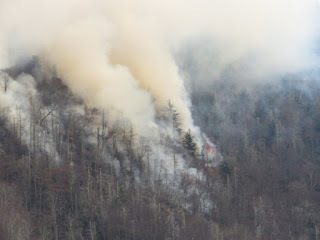 In addition, the Great Smoky Mountains National Park and trails remain closed from the Gatlinburg entrance along Highway 411 to Smokemont, near Cherokee, N.C. Call 865-453-2650 for more information. People can make a $10 donation by texting "REDCROSS" to 90999. I was talking with Knox County Criminal Court Clerk Mike Hammond this morning and he said he will not run for county mayor. There had been some rumors that he would. Instead, Hammond said he will either run for criminal court clerk again or for the circuit court clerk's gig. As it stands, Knox County Commissioner Bob Thomas and Knox County GOP Chairman Buddy Burkhardt so far have announced their intentions to seek the county's mayoral seat. Knox County Mayor Tim Burchett is term-limited. His current and second term ends in the fall of 2018. Former state Rep. Joe Armstrong will keep his pension despite a federal felony tax evasion conviction. Communications Director for the Tennessee Department of Treasury Shelli King told 10News on Wednesday that a review determined the benefits Armstrong earned while serving for more than 25 years state legislature were not subject to forfeiture in this case. King previously told 10News "the maximum benefit it would be approximately, $2,400 per month based his years of accrued service, $28,900 annually." 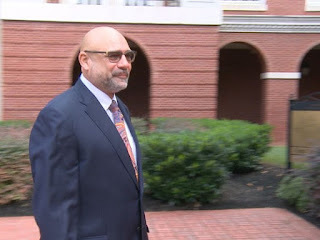 A memo detailing the review revealed that the tax evasion offense occurred outside his official capacity as a state representative and therefore didn't constitute malfeasance in office. Last month, a federal judge denied Armstrong's request to toss out the conviction or at least grant him a new trial. One month after the conviction, Armstrong officially retired. Knox County’s election administrator says he’s identified two potential voter fraud cases from last week’s election. Cliff Rodgers told 10News on Monday night he’s turning the cases over to Knox County District Attorney General Charme Allen. It’ll be up to Allen to see if she wants to press charges thru a grand jury. "I leave it up to the DA as to what they want to do," he said. "When I see an apparent violation of the law, I'm not sitting on it. I consider it voting fraud." In one case, Rodgers said, a woman admitted she’d voted when she was a convicted felon, which is against the law. The woman told Rodgers on the phone she'd been convicted of a felony more than 20 years ago, but didn't think that was relevant to her voting in 2016. Under Tennessee law, however, it's relevant. In another case, Rodgers said a man voted in Knox County even though he’s lived in Loudon County more than a year. The man's wife acknowledged they lived in Lenoir City; the husband, however, was in the voting booth casting his vote at the time. Under state law, you are required to vote in your county of residency. Rodgers did not disclose the names of the two voters. Such potential violations are felonies in Rodgers' view. Rodgers said he's turned over other potential fraud cases, although he didn't recall having one come up in the August election. "Any time I get them I turn them over," he said. We report a lot when bus drivers screw up (and there's been plenty of opportunity there) that we'd be remiss to not talk about the good they do. So, the Knox County Schools Bus Driver Safety Awards will be presented 11:00 a.m., Tuesday, Nov. 17, at Ted Russell Ford (8551 Kingston Pike). The awards are sponsored by Ted Russell Ford and WIVK. Five drivers will be honored and given a Certificate of Appreciation from Knox County Schools along with a $100 check from Ted Russell Ford. These awards were initiated to honor the Knox County Schools’ bus drivers that do an excellent job in transporting our children every day. The five drivers honored each month have been graded with high standards by the Knox County Schools, the contractors, the Sheriff’s department and by school staff. I almost chuckled when I saw this release. But then I thought . . . you know, this is probably pretty serious. Especially if beer drinking is involved. Everybody has seen, read or covered a story about someone being burned or a fire caused by improper use of a turkey deep fryer. With Thanksgiving just around the corner, lots of such fryers will be in use. Rural/Metro Fire officials will demonstrate the potential dangers and how to use a turkey deep fryer safely. The demonstration will take place at 2:30 p.m. on Wednesday near the Fire Training facility on the west side of the facility at 10410 Gallows Point Drive.